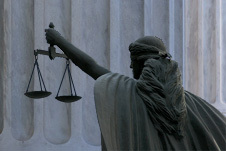 Affiliated Reporting is a full service court reporting agency serving the legal community since 1969. We are proud to be one of New Orleans' most experienced and well-respected firms. We can provide all of your litigation support needs including court reporting, videography, and document management. "We are committed to providing our clients with service of the highest quality using the best equipment available." Our courteous and professional freelance court reporters provide our clients with high quality, accurate transcripts. Our reporters are certified by the State of Louisiana and by the National Court Reporters Association. Our videographers are Certified Legal Video Specialists, also certified by NCRA. Affiliated Reporting knows the court reporting business, and we are committed to providing our clients with service of the highest quality using the best technology available. Whether you require traditional court reporting services or more high-tech services such as realtime depositions, text/video synchronization, exhibit imaging, or document management, Affiliated can fully service your litigation support requirements. Our staff is committed to providing friendly, efficient service. Whether you are calling to schedule a deposition, review an invoice, or inquire about the status of a transcript, your request or question will be responded to promptly. We are located in the heart of the New Orleans Central Business District, and we offer our clients complimentary use of our conference room which has a beautiful view from high above the Crescent City and the Mississippi River. Wireless internet is available so you can stay connected while away from your office. We invite you to explore our web site to learn more about us. When you're ready to schedule court reporting services click here to access our 24/7 online scheduling or call us at 504-568-9111.